HMRC believe that, while it is perfectly okay to sell online, individuals often breach boundaries where they are making what constitutes a ‘business profit’. In this case, they may owe tax on profit made through selling on sites like eBay or Depop – and HMRC expect you to disclose such information in your annual Self Assessment return. Declaring extra income to HMRC can be frustrating if you aren’t confident where you stand. But attempting to operate as an online seller and covering up what could be defined as trade can be potentially devastating for your finances. That’s why here we’ve provided guidance on paying taxes as an online seller. Do I need to pay taxes if I sell online? Modification of items in order to sell them for a greater profit. For those still asking, “do you have to pay taxes on an online business?”, yes – unless you feel that you aren’t necessarily breaching the above considerations. How much can you sell on eBay before you have to pay taxes? HMRC does not want to tax those just hoping to make a small amount on the side. In fact, in 2017, the government agreed to a trading allowance that gave sellers the freedom to earn up to £1,000 in sales without paying anything in tax. The aim was to simplify the tax system and to help the UK “become leaders in the digital and sharing economy”. It’s not just Ebay sellers that need to be aware of the potential tax trap, Depop, for instance, is a fast-growing community of young sellers that are making a living out of second-hand fashion. There are entrepreneurs earning thousands on the platform, unaware that they may have to pay tax as a sole trader. Gumtree and Etsy sellers are similarly affected by taxes when you sell things online – all being recognised as platforms where sellers are able to evade paying tax, and are therefore in HMRC’s firing line. What are the consequences of not disclosing online income? In the more severe cases, online tax evasion could result in prison – as was the case with a user in 2014 who failed to declare their eBay income. As HMRC has the authority to access PayPal information and request extensive details from online auctioning sites, it’s unlikely that such schemes will remain hidden for the foreseeable future. In 2016, approximately 870,000 people failed to submit a Self Assessment return with some cases having noticeably small amounts of income from online sales. This resulted in huge fines for the sellers, with HMRC predicting an increase for years to come. Thankfully, completing a Self Assessment tax return has never been so straightforward. 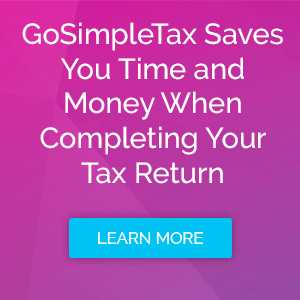 With GoSimpleTax software, you can see clearly what you need to disclose and how to avoid HMRC penalties. Our online and telephone support can guide you through the Self Assessment process so that it is accurate and transparent. Interested? Trial our 14-day demo to see how you can streamline your accounts.